Agricultural gates or field gates as they are often know are normally constructed in 5 or 6 bar versions and are a British classic that can be seen on farms, paddocks and cottages throughout the nation. These wooden field gates are extremely sturdy and are built made to measure to last a lifetime which is why they’re so popular for agricultural use. 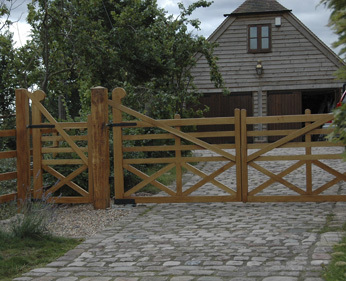 Whether you’re looking for a gate for a field, a farm, a paddock or a small holding our range of handmade wooden field gates are the perfect choice. Throughout the nation the field gate design varies slightly with most regions having their own slight twist on this classic design, but we still believe that our Snowdon field gate is one of the best field gate designs available and one that will stand the test of time. From hardwood to softwood we are able to offer our range of field gates in your choice of timber including: Seasoned Oak, Iroko, Sapele, Idigbo, Western Red Cedar and Joinery Redwood. 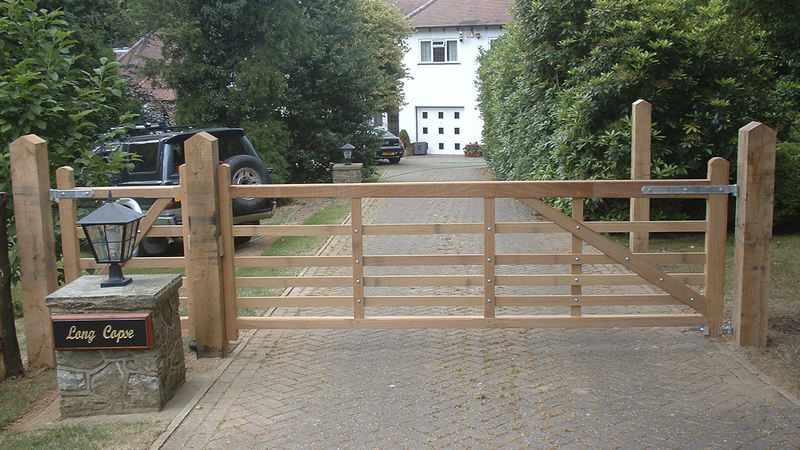 For those on a tight budget our handmade softwood field gates are the perfect choice while those looking for a gate for a driveway may prefer one of our hardwood gates. And with over 25 years’ experience, at Trew Gates we’re able to deliver beautiful products that will exceed your expectations. One of the advantages of field gates is that they are able to be hung as right or left handed gates and are able to accommodate gate automation. 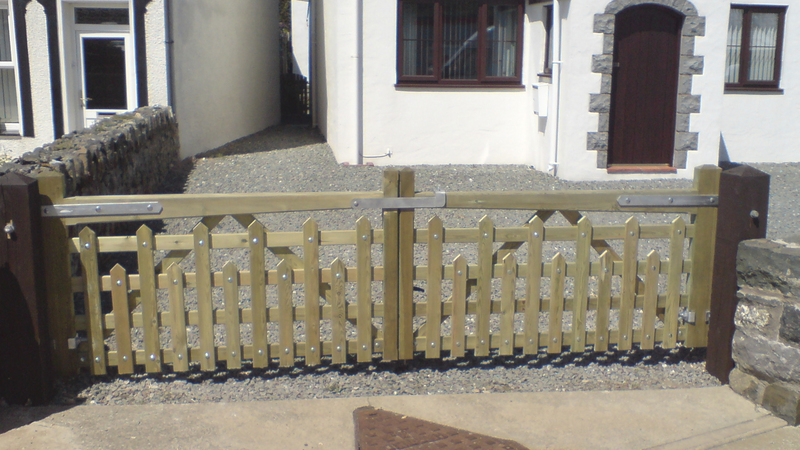 All of our gates feature traditional mortise and tenon joints and are built to last. For keeping small animals in a paddock or enclosure our Harlech Picket gate is the ideal choice as it features vertical pickets over a traditional 5 bar design meaning it’s perfect for keeping livestock in place. Get in touch with Trew Gates today by giving us a call on 01570 480 400 and we’ll help you find the right gate to match your needs. 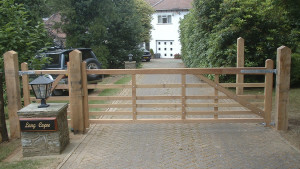 What more can we say… a traditional wooden 5 bar gate, built to last using traditional mortice and tendon joints. A Cottage style gate, using the same construction methods as our 5 bar design, this is a practical gate which will ensure all small animals are kept safe in the garden.